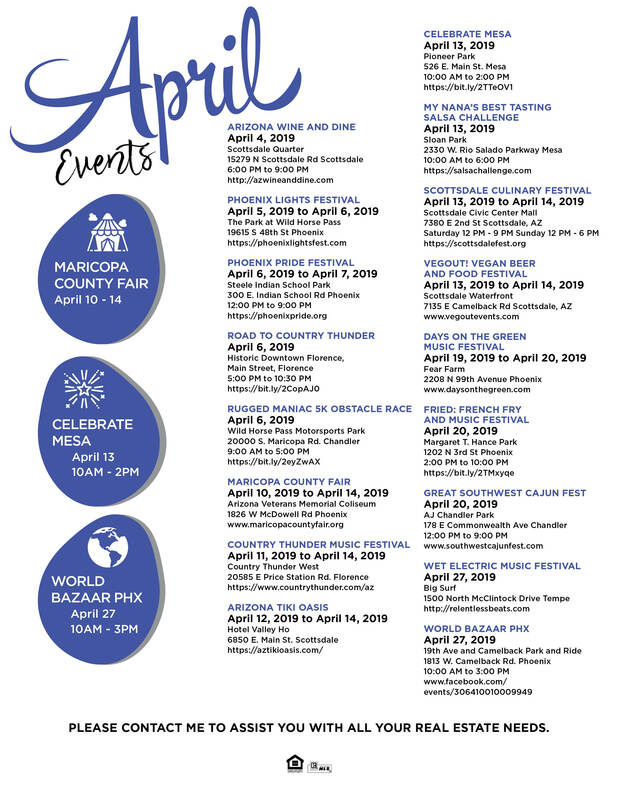 With Spring Training done, now it is time to check out the Maricopa County Fair, Country Thunder, and multiple other music festivals that take place in April in Arizona! Springtime in Phoenix offers truly something for everyone! Take a look at the Things to do in Arizona for April, it is a beautiful time to enjoy Arizona. I hope you enjoy this month’s edition of Things to do in Arizona. Get a hold of me if you are ready to buy or sell a home, there are some really beautiful homes available across the valley.